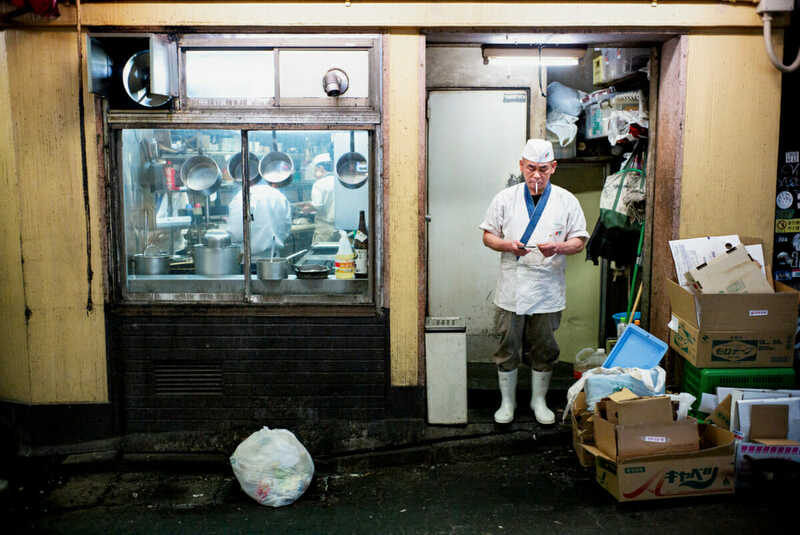 Behind the scenes, or at least the back door, of a busy Tokyo kitchen. Always. Where all the most interesting things are! Some things are truly universal eh…? He has. That’s a good point. Often still not the done thing here. At least not in smaller places anyway. No sign of the health inspector per usual. Maybe he is the health inspector!